Shooting – serious or slack? 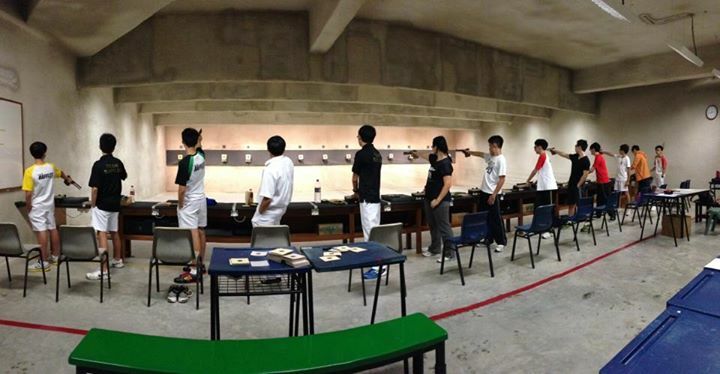 There is often a dispute over whether shooting is actually a sport – after all, trainings and competitions take place in an air-conditioned venue (one of the many perks), and of course, the physical exertion is minimal. Yet we beg to differ. Shooting as a sport is much more than that, and we hope that through this brief article, you’ll get a clearer picture of just what it involves. A frequently asked question is: “So what exactly do you do during training?” While the simple answer is that we spend most of the 2-3 hours per training shooting, it isn’t quite as boring as it sounds. There are different exercises and each has a different purpose – for example, to work on basic skills we shoot “groupings” of 20 shots on a single card, and mark our progress by how close together the shots are. Yet refining these skills is a whole other story, with shooters tracking shots numbering up to 10 on each card to work on specific technical skills, or just simple adjustments to counteract natural tendencies. We believe that this, ultimately, is what shooting is – a game of precision and accuracy. It is true that spending hours doing the same movement can be tedious and tiring, but this is where the mental discipline of the sport comes in. While it isn’t the most physically exhausting, striving towards technical perfection – the key skill to have – can only be mastered through countless trainings. It isn’t only mental, though – once training ends, not a single shooter doesn’t experience some form of physical fatigue and muscle aches. Shooters train an average of 2 to 3 times weekly during non-peak seasons, but this increases as Nationals approach, sometimes amounting to almost daily trainings. We will often have our best poker faces on, our minds focused on controlling their emotions, and perfecting each motion. Competitions are no different, with stress and anxiety levels running extremely high. And in a sport that strives towards attaining personal perfection, this responsibility to surpass yourself can be even more burdening. But this only reinforces another basic skill of shooting and renders it ever more essential – the ability to keep a cool head and master your nerves . We learn this through listening to the advice of our two experienced coaches, as well as participation in the many competitions such as invitationals and open categories. It is this fundamental mental discipline that we carry with us even after we have ceased to be in the CCA; the ability to focus, rise above our anxiety, and constantly aim to improve ourselves. And as our coaches repeatedly tell us, this is what matters in the greater scheme of things beyond JC. But don’t worry, shooting isn’t as intimidating as it might sound. Like any other sport, it is unforgiving without commitment and dedication, but this is exactly what keeps us strong as a CCA – we trust that each and every single member will try their hardest, because the end goal will always be that we do our best as a team. And while we do train seriously, our breaks in between shooting are often full of laughter, usually at the expense of our long-suffering coaches and ever-patient teachers. 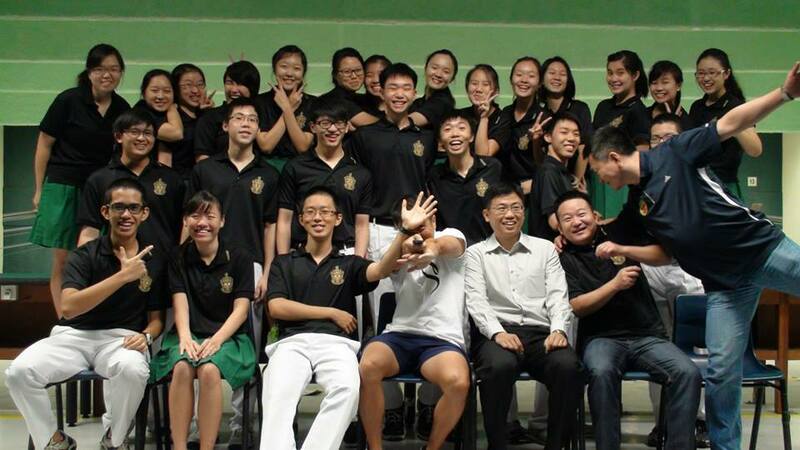 Also, because we’re a small CCA, we enjoy close bonds between the members, especially since intensive trainings for competitions tend to result in almost daily meetings with our teammates. And given how specific the struggles of training are to the sport, members grow closer as we encourage each other through the ups and downs of training, and school life as well. Planning and organising various events during the school year, including IHC Shooting, brings the batch closer together beyond just training itself. Admittedly, Shooting in RJ is a CCA that prefers those with prior experience, and the skill requirement is not one that many have. But we hope that through reading this, you’ve gained a better understanding of how we function and operate both as a sport and a CCA. 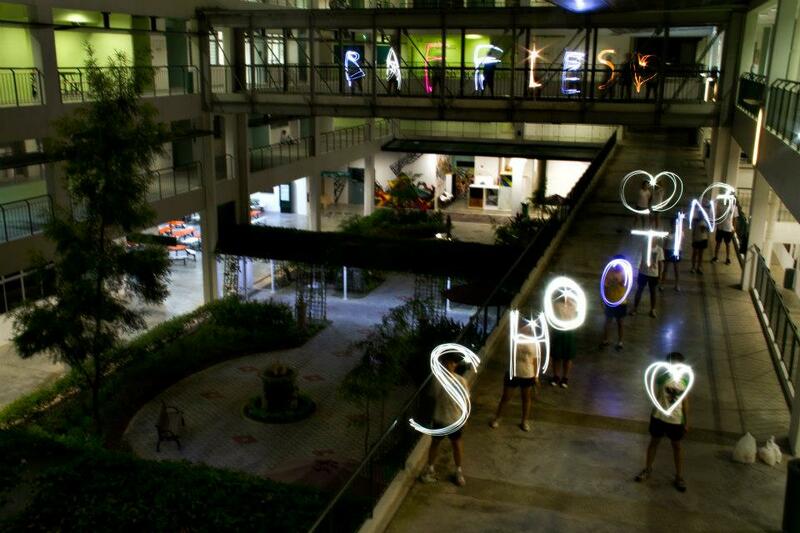 Do come down to one of the many events that shooting will be organizing, where you can try out the sport for yourself!